“Short-Term Rentals – Lifetime Memories” – come make some memories! 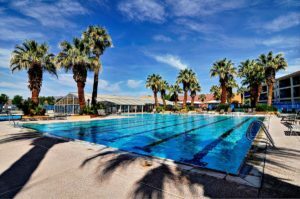 Las Palmas is THE ‘All Inclusive Amenities Resort’ of Southern Utah. You can’t beat the all inclusive resort amenities of Las Palmas Resort. 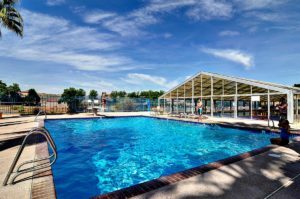 Come enjoy 6 pools: indoor pool (heated year-round), diving pool, lap/lounge pool, kids pool, waterfall pool, and pool with a shallow end. 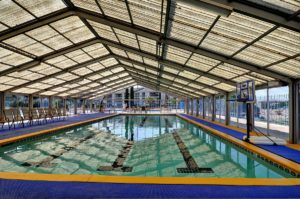 But that’s not all, you also will have free access to: 4 hot tubs (heated year-round), exercise room, basketball, pickleball, and 3 playgrounds. Enter your dates above to check availability and to book now! The huge resort amenities area behind buildings 14, 15, and 16 is open from 9am to 9pm Monday – Saturday and Sunday 9am to 7pm. Please call (435) 986-5090 for questions about these facilities. The two smaller resort pool areas each with a pool, hot tub, and playground are open from 10am to 10pm. One pool area (waterfall pool) is located behind buildings 9, 10, and 12. Another pool area (pool with shallow end) is behind buildings 17, 18, and 19. The jacuzzis are open and heated year-round. These pools are heated March 15 – October 31. 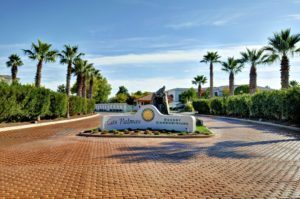 The Las Palmas Condo Complex Resort in the Green Valley area of St. George has served as St. George, Utah’s lodging of choice for many families, golfers, and snowbirds for over 30 years. The Las Palmas Resort is ideal for families and outdoor enthusiasts. The Las Palmas condos are located next to several hiking, biking, and ATV trails. 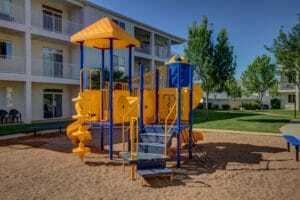 The resort rests upon a ridge providing a colorful collage of three Southern Utah scenic treasures: the blue Pine Valley Mountains, the red Snow Canyon hills, and the black Lava Ridge. The condo resort has grown to 339 condominiums since the first phase was completed in 1983. The Las Palmas Resort includes lodging accommodations for every need – from the economic 580 sq. feet 1 bedroom condo to the newer luxurious 4 bedroom condo. The condo buildings are numbered between 1 and 21. Buildings 1 – 4 and 14 – 16 were built between 1983 and 1986. Buildings 5 – 12 (excluding 8) were built between 1995 and 2001. Buildings 8 and 18 – 21 were built between 2003 and 2006. 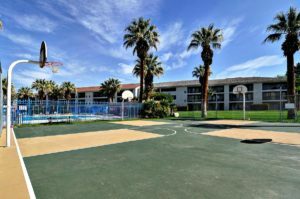 The Las Palmas Resort condos are located just 4 miles west of downtown St. George.